Offers are only valid for first time clients. Whether you choose to indulge in one of our spirit-enhancing spa treatments, or simply relax in our infrared sauna and private shower, we guarantee that you will feel completely refreshed and rejuvenated when you walk out the door. Alora Health Spa features more than ten different forms of therapy, including Colonic Hydrotherapy, Lymphatic massage, Post-Surgery massage, V-Steam & A-Steam, Raindrop therapy, Infrared Sauna, Aqua Chi, Whole Body Vibration Machine, Bio Mat, Facials and Body Wraps. Our facial treatments offer you an opportunity to give your skin a healthy boost and if you're after the ultimate detox experience, consider pairing your Colonic Hydrotherapy with a our Lymphatic Massage or one of our other revitalizing add-ons. We know you'll feel right at home at Alora Health Spa, which is why we also offer special spa packages, including our signature Alora Triple Detox package. To help you decide which experience will be best for you, please take the time and visit our package page which you can view all the services that are included. Ultimately, we believe you will enjoy your experience with us so much that you will want to send others to Alora Health Spa to learn what you will already know. 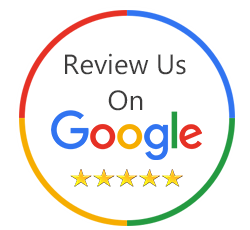 We offer gift certificates and other products used in your treatments at Alora Health Spa and please take the time and review us on google, yelp, and facebook. Don't wait any longer! Contact us today to make your first appointment to heal and detox your body at Alora Health Spa! Be sure to ask about our specials each month!